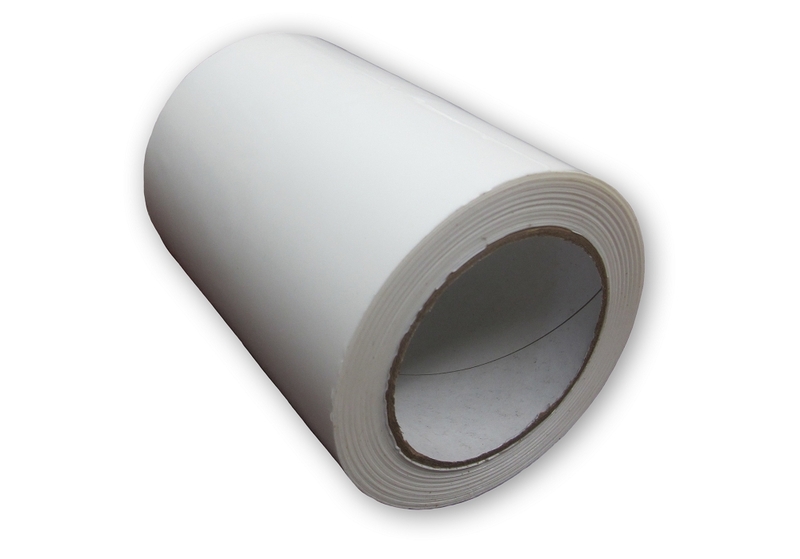 4 inch x 180 ft. roll of permanent white or gray shrink wrap tape. Extremely adhesive, 6-mil tape. Backed with 2 mils of acrylic adhesive, this tape is STRONG. Patching shrink wrap holes and tears has never been easier. This tape must be applied to your shrink wrap project after the the shrink wrap has been shrunk. Permanent shrink wrap tape is meant to be applied to shrink wrap - as it is a very, very strong adhesive! 4" permanent heat shrink tape is currently out of stock until further notice. Works on any application, but please be aware that this tape is very strong and could cause damage if not used properly! great quality, service and price !! Don't put it on and expect it to come off after a few minutes because this tape is permanent and should last many years ! !